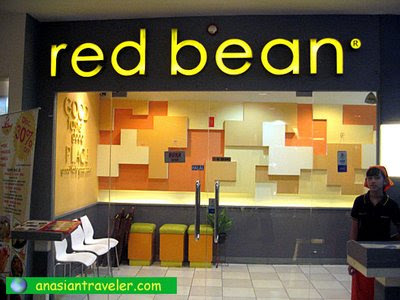 As we rode along the area of Mangga Dua Square we just happened to see a restaurant called Red Bean. Immediately, we told the driver to drop us off there instead of going back to the hotel. 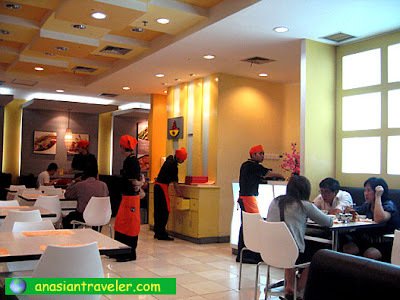 Since our dinner experience wasn't very good and filling at Bakmi GM. It was the best option to have another quick dinner snack. We walked in and got a table near the "floor-to-ceiling" glass window. 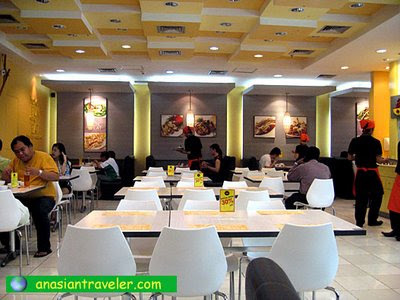 The restaurant had a cozy feel to it, nice and well lighted. They had a wide variety of menu items and it was hard to decide what to eat. But we finally settled on ordering the Bakmi Besar Goring (24,900 Rupiah) just enough for two people to share, and Frappe Mochaccino (16,900 Rupiah). Ten percent tax not yet included. 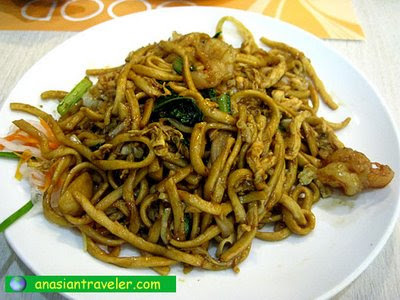 It was the best stir-fried noodle I had eaten for a long while. It was filling, cooked to a perfect al dente and the flavor was oh-so-delicious, plus the beverage was a tasty treat. Hmm, I wouldn't mind watching my calorie intake here. 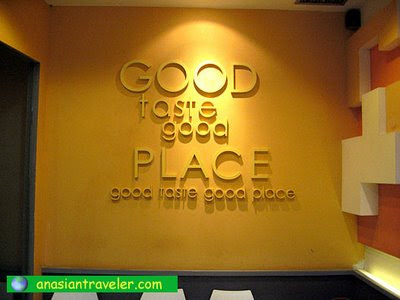 This restaurant is indeed known for its good taste, and what a good place to eat!